First announced in June last year, the scheme in Stoke-on-Trent has now received more than 3,500 sign-ups from council tenants, resulting in more than 750 separate installs to date. This, Solarplicity said, was regarded as confirmation that the scheme is fit for a nationwide roll-out and the company is now planning to introduce the scheme to other social housing landlords in the country. The programme itself sees Solarplicity fund, install, operate and maintain rooftop solar PV alongside smart meters, LED lighting and, in some cases, energy storage units. In exchange, tenants can receive annual savings of up to £300 on their energy bills. 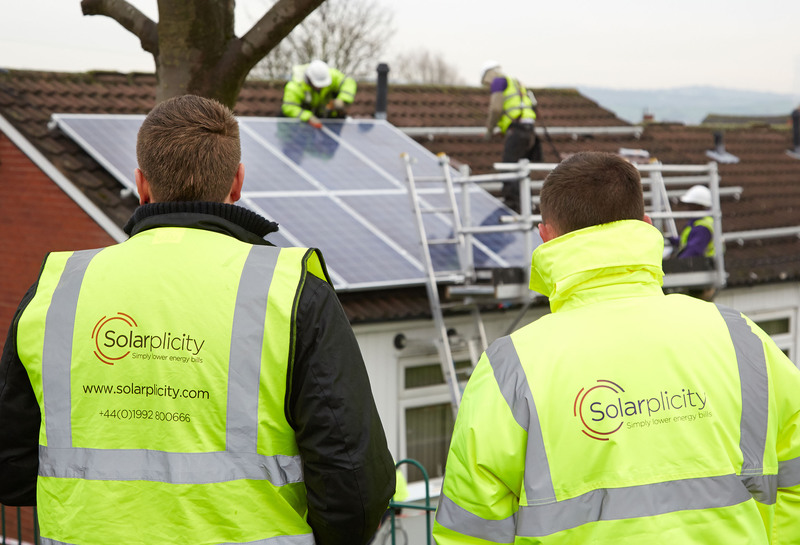 Prior to launching in Stoke, Solarplicity conducted a desktop survey of the council’s 18,000 social housing properties, identifying 12,500 which were eligible for solar panels. Those deemed not fit for solar are, however, being offered storage, smart meter and LED lighting technologies to help reduce their energy consumption. In addition, Solarplicity is now looking to introduce the scheme to private homeowners in the Stoke-on-Trent area. In September last year Solarplicity announced that Dutch firm Maas Capital, part of the ABN AMRO Bank, was to fund the scheme with an investment of £160 million, designed to unlock a total of £1 billion worth of investment to target the installation of technologies in more around 800,000 homes. The company had too set its sights on installing around 50,000 systems in its first year under the scheme before reaching 100,000 installs within 18 months. In a statement issued to SPP, Solarplicity said it stood by its target of installing 50,000 systems within its first year. “Like with any new project at this scale, it has taken a while to get everything in place for the roll-out, but Stoke-on-Trent is proof that the Scheme is already a success," the company added.